If you wake up in the morning and feel that your eyes just don’t want to open completely, it is very much possible that you get puffy eyes in the morning. There can be a number of factors that can combine to cause puffy eyes including your sleeping pattern as well as your eating habits. Getting to the root cause of why the area around your eyes is getting swollen is necessary to treat the problem and to ensure that the extra baggage beneath your eyes don’t trouble you again. What Causes Puffy Eyes in the Morning? The reasons can vary from stress to allergies and from your inherent facial characteristics to your skin’s texture and features. You can always find temporary relief from the dark circles below your eyes with home remedies like slices of cucumber or the use of anti-hemorrhoid ornament. However, they would always return soon after unless you treat the root cause of the problem. One of the major reasons for puffy eyes in the morning in most people is because of no blinking during sleep. Some people are inherently more prone to getting puffy eyes and therefore, the necessary task of sleeping can lead to the problem. If you find your eyelids puffy early in the morning after you wake up but see the swelling go down gradually as the day passes, it’s probable that long bouts of sleep are causing the problem. For instance, if you eat too much salty food, it is possible that you would get puffy eyes due to the increased retention of fluid. Increased alcohol intake causes this problem too as it actually dehydrates the skin and makes it look thinner. As a result, the fluid comes to the fore even more and the eyelids start to look puffy. What to do: Foods that contain high amounts of salt like fast food should be avoided or limited. An effort should also be made to lessen the intake of alcohol and to increase the intake of water IN THE DAY but not right before you sleep before high water intake before bed can actually contribute to puffy eyes in the morning. Allergies are another common cause of swelling below the eyes. Sinus issues also contribute towards puffiness in and around the eyes. Stress and fatigue can also lead to such issues as when the body doesn’t get the rest it needs, the blood vessels below the eyes become dilated. As a result, they come closer to the skin surface and this leads to the appearance of a blackish color over the skin. Crying is also another contributing factor with puffy eyes usually visible in people who have gone through some terrible tragedy. The position in which you sleep can also cause puffy eyes in the morning. If you lie flat on your back while sleeping, it can lead to building up of fluid below the eyes. What to do: It’s important to make your head rest at a slightly higher level than the rest of your body. If you would keep a couple of pillows under your head, you would make the fluid go away from the underside of your eyes. Puffy eyes are an indication that your eyelids are swollen and just like application of a cold compress can decrease swelling in other parts of the body, it can also help in reducing eye puffiness. 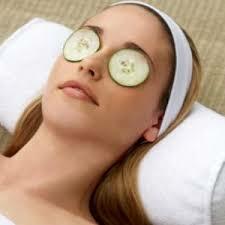 Cold slices of cucumber are the best way to apply a cold compress over the eyes as they are usually of the right shape and size. If you can’t find cucumber, wet tea bags that have been chilled in the freezer for fifteen minutes can do the trick too. 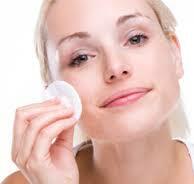 Astringent tonics or creams keep the puffiness at bay by tightening up skin cells in and around the eyes. For proper application, you should use cotton balls. All you have to do is soak the cotton balls in the astringent tonic and then place the balls over your eyes for around 10-15 minutes. Make sure to rinse your face afterwards. 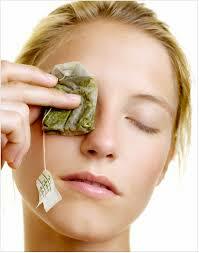 Both black and green tea bags are effective against swollen eyelids. The tea bags have anti-inflammatory properties that bring down the swelling. Redness in eyes can also be brought down with tea bags. For proper application, keep the tea bags in the refrigerator for half an hour before applying them over your eyes for a period of ten to fifteen minutes. 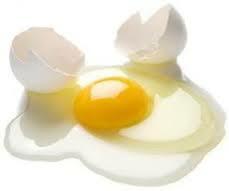 Egg whites tighten up the skin around the eyes and can therefore prove useful in removing the bags under the eyes. They are also effective against wrinkles. For proper application, first separate the yolk from the white and then whip the separated egg white until a consistency is obtained. Afterwards, add an astringent like witch hazel and then use a clean piece of cloth to apply the mixture over the swollen region. Rinse your face after around fifteen minutes. Fluid retention is one of the major causes of puffy eyes. It’s the over concentration of salt in the region that leads to fluid retention. Increasing your water intake can flush out the unnecessary salt in the region and can lead to the removal of extra fluid that causes eye puffiness. If you find your eyes too swollen on one particular morning, you should drink even more water and avoid dehydrating rinks like coffee and alcohol. 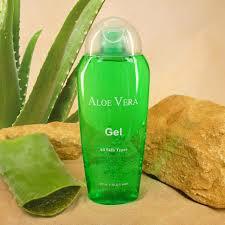 Aloe Vera contains Vitamin E as well as antioxidants and both can reduce eye puffiness. The aloe Vera gel reduces swelling by improving circulation of blood in the region and the improved blood circulation would flush out the built-up fluids below your eyes. You would be surprised that this can be used to relieve puffy eyes in the morning. The use of anti-hemorrhoid creams is a common home remedy for lessening dark circles underneath eyes. The reason why these creams work is that they contain an active ingredient called phenylephrine which reduces the diameter of the blood vessels. While they are effective, they must be applied with care as if the cream enters your eye you run the risk of suffering from chemical conjunctivitis. Increasing the intake of foods rich in potassium can also help. Moreover, using cold water to wash your eyes and face can help too. Lastly, it’s important to get a good amount of rest everyday so that your eyelids get the amount of rest they need too.